FRAZIER, Christopher W. Of East Boston, suddenly, November 8, 2018. Beloved father of Christopher Jr., Charlie, Anthony and Stella Frazier. Loving son of Maria (Sforza) and the late Paul W. Frazier. Brother of David and his wife Sonia, Korynne and the late Paul Mario Frazier. Grandson of Agnes and the late Liborio Sforza. Uncle of Kylie and Jordyn DeDomincis and Brianna Frazier. Visiting hours in the Magrath Funeral Home, 325 Chelsea St. [at Day Sq] EAST BOSTON Thursday evening 5 - 7. Funeral Service at 6:45 PM. 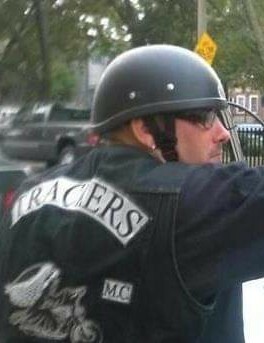 Loyal brother and friend of Trackers M.C. Indoor parking and entrance to funeral home available from 340 Bremen St.